Dr. Xiaolin Wei is the Faculty’s first Associate Professor of Health Systems and Clinical Public Health in Asia — a shared core faculty position with the Dalla Lana School of Public Health’s Division of Clinical Public Health and the Institute of Health Policy, Management and Evaluation — as of April 8, 2016. “I am delighted to welcome Xiaolin back to Toronto and to support him in his program of innovative research and cultivating emerging collaborations between the Faculty and institutions in China and other countries in Asia,” said Howard Hu, Dean of the Dalla Lana School of Public Health. Wei is an internationally-recognized leader in healthcare and health policy with a focus on primary care reform and tuberculosis control. He is also an IHPME alumnus, holder of the 2004 Dr. Ted Goldberg Scholarship and he participated in the School’s Global Health Summit in November 2014 by addressing the question, what is the gold standard for health systems? 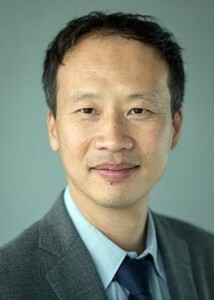 “It is my great pleasure and honour to come back to the University of Toronto serving as a faculty member for the School!” said Dr. Wei, a medical physician who arrived at DLSPH from his position as assistant professor in the JC School of Public Health and Primary Care at the Chinese University of Hong Kong (CUHK). Wei has held visiting professorships at the Nuffield Centre of International Health and Development at the University of Leeds, UK, where he is also a Fellow of the Faculty of Public Health. Wei is also a technical advisor to the World Health Organization on tuberculosis and influenza and the secretary-general and executive board member of the International Union Against Tuberculosis and Lung Disease. His major research interests include primary care reforms and policy evaluation, and health service delivery studies in tuberculosis and cardiovascular disease control, mostly in primary care settings. In this role, Wei will lead joint initiatives between DLSPH and partners in Asia to establish a framework in which to generate evidence on best practices related to primary care and primary care systems. One key research area will be to create models for training general practitioners, given China’s goal to train 300,000 general practitioners in the next decade. Wei will also lead a program in primary care evaluative and comparative health systems research, including course design and delivery in the establishment and use of data for decision-making and the use of such data in health policy in Asian health systems as well as Canada.